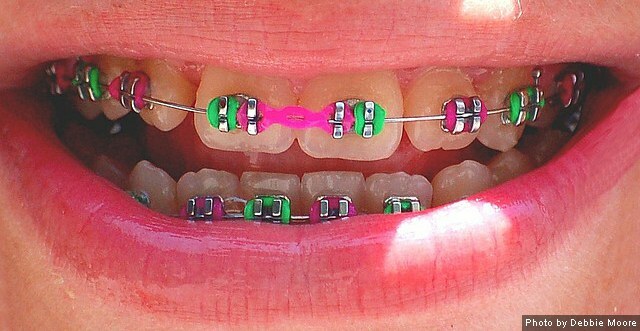 I’ve had my ceramic braces on for 4 weeks now. I still speak with what seems to be wind through my teeth as I talk and everyday my teeth feels sore. I know it’s early days but there doesn’t seem to be any change. I won’t see my ortho till the 4th of Aug. Please advise whether this is normal. I was told this speech impediment will go, that the pain/soreness is only in the first couple of days. It’s very different in my circumstance. I also salivate more than normal. I’m not really enjoying this process right now!! Hi Tina – Usually the difficulty speaking subsides after a while once you get used to it. You may have to “re-learn” how to speak with your braces. You could try practicing speaking certain sounds that are more difficult for you to pronounce. Other than that, I would ask your orthodontist’s for any suggestions they may have. Good luck with your braces, Tina! Let me know if you have any other questions. 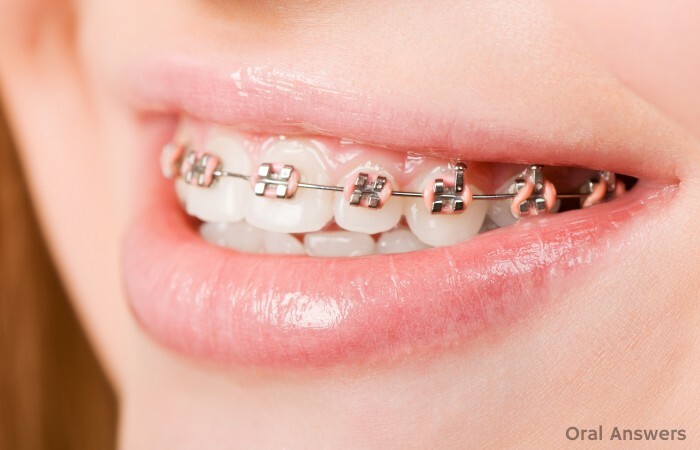 my orthodontist put a band around my braces that looks similar to the set in the picture but it has a flat part on the top to stop my bottom teeth from knocking under my top..almost like a guard..do you know where i can purchase it,or the exact name of it? Hi Kay – I’m not sure what that is since we only receive a brief overview of orthodontics in my dental school. Hopefully someone else knows and you can get it figured out. Good luck with your braces! can I choose a color from that too?